Dr. Tandin Dorji has been an educationist and a researcher for over 20 years. Before taking up this responsibility as the President, he was the Project Director and was instrumental in setting up Norbuling Rigter College. He is also one of the founders of the Institute for Management Studies where he headed the Research and Consultancy Wing. Dr. Tandin Dorji taught at Sherubtse College and Paro College of Education. He was also a visiting faculty for Samtse College of Education and the Royal Thimphu College. On the academic front, he was an External Examiner for doctoral students (Ph.D) for the University of New England, Armidale, Australia and also guided several Masters’ students with their thesis. Dr. Tandin Dorji was also one of the first members of the Programme and Quality Committee of the Royal University of Bhutan and was involved in validating several programmes of Sherubtse College, Samtse College of Education and Paro College of Education. As a researcher, Dr. Tandin Dorji conducted over 25 research and consultancy assignments and developed reports for government, corporate and private agencies while working at the Institute for Management Studies. As the Head of the Social Studies Section of the erstwhile Curriculum and Professional Development Division, he was instrumental in writing and publishing over a dozen Social Studies Textbooks and Guidebooks for School Children. Dr. Tandin Dorji has several research papers in his name and presented them in St. Hugh’s College (Oxford University), Leiden University (Netherlands), Institute for Asian Studies (Vienna, Austria) and Centre for Tibetan Studies (Paris, France). Dr. Tandin Dorji received his M.Phil and Ph.D in Social Anthropology from University of Nanterre, Paris, France with high distinction. He also completed his Masters in the same discipline from University of Aix-en-Provence, France. He has a certificate in Writing and Publishing from University of La Trobe, Melbourne, Australia and a certificate in GECDP mainstreaming from Griffith University, Brisbane, Australia. On the education side, after completing his BA from Sherubtse College, he received his Post Graduate Certificate in Education from the erstwhile National Institute of Education, Samtse, Bhutan. Currently, he is a Board Member to the Consumer Protection Board of the Office of the Consumer Protection, Ministry of Economic Affairs and Chairperson of the History and Civics Committee of the Royal Education Council. With his rich experience and exposure to both Bhutanese and international standards of higher education, Dr. Tandin Dorji has the credibility to steer Norbuling Rigter College, its faculty and most importantly students to reach their aspired goals. Mr. Karma Drukpa has post graduate degree in Master of Commerce (Taxation) from Curtin University of Technology, Australia under the prestigious scholarship of Australian Government (AusAid). He completed his undergraduate studies in B.Com (Honors) from Sherubtse College (affiliated to Delhi University, India), Bhutan. He also has Post Graduate Certificate in Education (PGCE) from National Institute of Education, Bhutan. During his 13 years as a lecturer in the university system, Karma taught business law, corporate law, intellectual property rights, taxation-law and practices, and tax planning to the undergraduate students. He has written two teaching-learning resource books for the undergraduates - Foundation to Legal Framework and Taxation-Law and Practices in Bhutan. He has also published research papers and articles in reputed journals. He supervised and participated in many consultancy works of the College and organizations. His current research interests are in taxations and intellectual property rights. 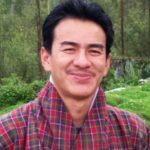 Prior to his joining Norbuling Rigter College, he was a full time lecturer at Gaeddu College of Business Studies, Royal University of Bhutan. While in Gaeddu College, he served as the Dean of Academic Affairs from 2011 to 2015; Controller of Examinations from 2008-2011, boys hostel provost from 2008-2010, member of the Academic Board of the Royal University of Bhutan; and advisor and member to various committees and clubs of the college. He is currently the member of Program Quality Committee of the Royal University of Bhutan. Karma is also the recipient of the National Award for Dedicated Service from His Majesty the fifth King of Bhutan. He can be reached at dean@nrc.bt or kardruks09@gmail.com. Kunzang Drukpa is a seasoned educationist. He has worked as a Teacher for seven years and then as a Principal for twenty seven years in various schools. He has excellent track record of being one of the most outstanding Principals in the country. As a Principal, he has attended numerous in country School Leadership and Management trainings and as well as attended Seminars and Workshops in Australia, Thailand, India, Canada and Israel. 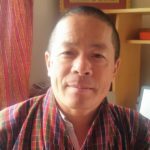 Kunzang has also served as the Principal of Wangsel Institute in Paro which is the first and only institute for the children with deafness in the country. Before joining Norbuling Rigter College, Kunzang was serving as the Chief of Personnel and Administration (P&A), Division in Mangdechhu Hydroelectric Project Authority (MHPA) on deputation from the Royal Government of Bhutan. As a Chief (P&A) of Indo-Bhutan Mega Hydroelectric Project, Kunzang performed his duty with due diligence, integrity and sincerity which was commended by MHPA. Kunzang holds a Master’s Degree in Special Education from Flinders University, Australia; Masters Degree in Education (Leadership and Management) from Paro College of Education; Bachelors Degree in Education (Primary) from Samtse College of Education and Diploma in Management of Schools from Sheffield City Polytechnic, United Kingdom. His vast experience in School Leadership and Management enabled him to mentor and supervise teachers in planning, execution and reviewing of school activities effectively. 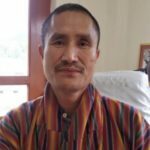 Considering his positive attitude and the vast experience in the field of education; as a Registrar, Kunzang has the capacity to contribute to the overall growth and development of Norbuling Rigter College which in turn would facilitate the students to grow and develop to their full potential.